Will Cain, former CNN political analyst, is ESPN’s right-wing answer to left-wing accusations. Other media outlets have caught on to what ESPN has been doing since before last year’s presidential election: their programming leans to the left and they don’t try to hide it. In a recent poll found through social media, 96% of sports writers voted Democrat in last year’s election, and they provide a left-wing viewpoint (and ONLY that view) through most of ESPN’s platforms. Will Cain, hired to ESPN in May 2015 after being a political analyst for CNN and The Blaze, has started providing conservative takes to give something different than the Stephen A. Smith / Michelle Beadle / Jamelle Hill / etc liberal propoganda. Truth be told, the majority of their viewers are older conservative white males, but the direction ESPN has taken, overall, is fully left-wing… the complete opposite of their viewership. ESPN’s ratings have taken a major league hit over the last few years (mostly due to cord-cutting), but it doesn’t help that they don’t provide their viewer base with things that they actually WANT to watch. Here are just a few examples of things that have happened with ESPN. That’s only a few things that come to mind off the top of my head right this second. And yes, I’m writing this in one sitting as it rolls through my head. 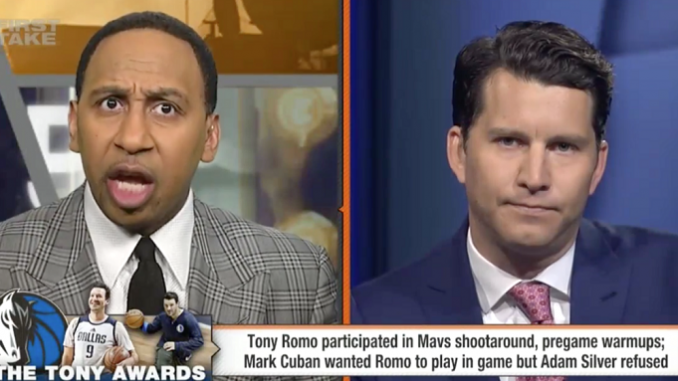 Viewpoints from most ESPN talking heads (Mike & Mike, etc) is usually pretty vanilla, or extremely left-wing, but lately, Will Cain has provided a more familiar view for the right-wing viewers. Today, after the announcement of Aaron Hernandez’s suicide, he jumped on to Mike & Mike and provided the same kind of opinion. Jump to the [22:53] mark of today’s show and listen to what he says regarding Hernandez. Hernandez was handed college scholarship, 40M contract, numerous mentors. He wasn’t the product of lack of choices or guidance. He was evil. Will Cain is ESPN’s right-wing response where, in the recent, there have been no opinions from that side of the political equation. Will it work? Who knows. People may be too far gone, and they may already understand the agenda ESPN is trying to push, but for those with conservative views, it must be nice to have their type of opinions expressed on this network along with the liberal propoganda.